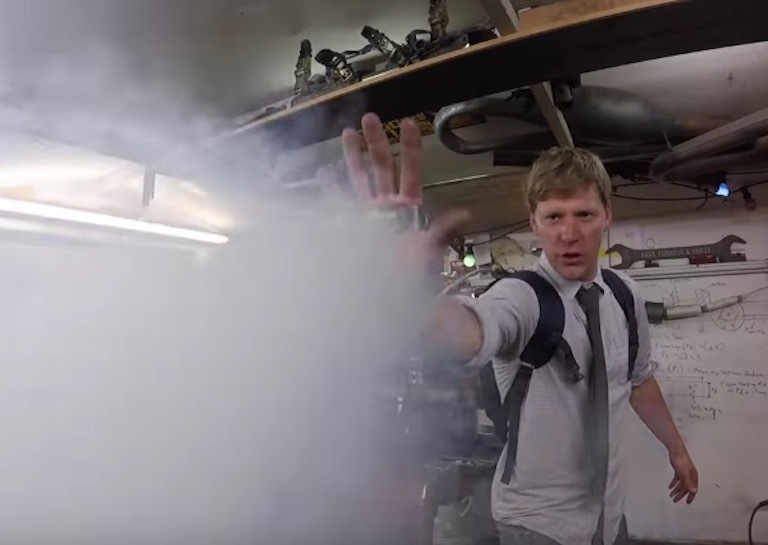 At this point, we should just give Colin Furze his own section on Industry Tap. The dude churns out incredible devices on a regular basis, with his latest creation being palm-mounted Ice Man liquid nitrogen blasters from X-Men. While we may not have any mutants (that we know of) on Earth in real life, perhaps these liquid nitrogen blasters are the closest any of us will ever come to having legitimate superpowers. Utilizing a myriad of valves, insulated tubing, compressed cylinders, and some good ol’ liquid nitrogen, Furze assembled a wearable device any X-Men lover would kill to have. I for one, am curious what he does with his inventions after showing them off on YouTube. You would think a couple of his wild engineering marvels would fetch a pretty penny at auction.